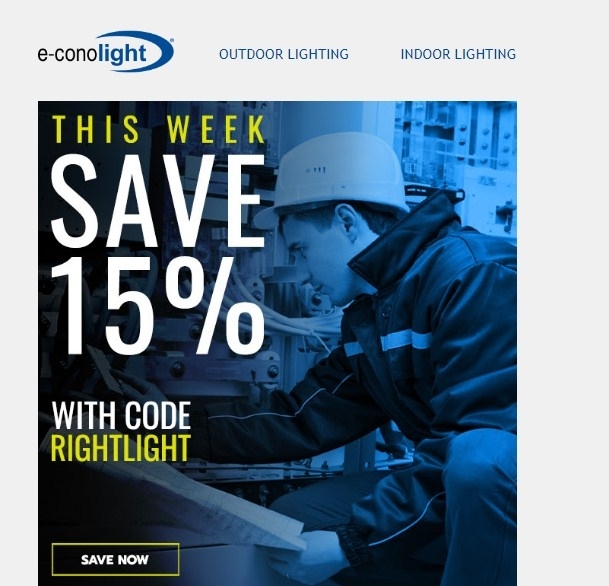 Marc Evans Receive 15% off your purchase with promotion code RIGHTLIGHT. Excludes clearance products, linear fluorescents and poles & bullhorns. Expires 3/16/2018 at 11:59 pm CT. Promotion code cannot be combined with any other offer and must be used at time of purchase.